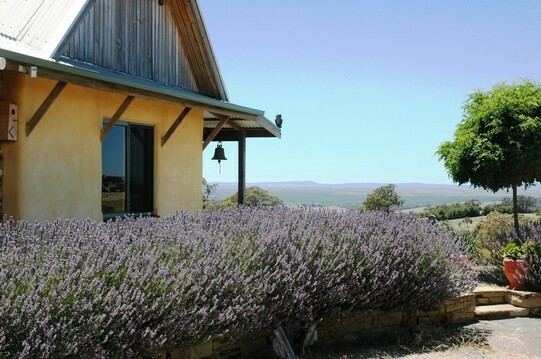 Nestled snugly within Harcourt's rolling granite hills, with breathtaking views of the Sedgwick ranges, lies "MillDuck", a secluded, StrawBale retreat, central to Maldon, Castlemaine, & Bendigo. The Bed & Breakfast units were set up for discerning couples who will appreciate the thick walls, quality finish & peaceful, cosy atmosphere created within the units, along with the old world, rustic charm spread throughout this 35 acre property. 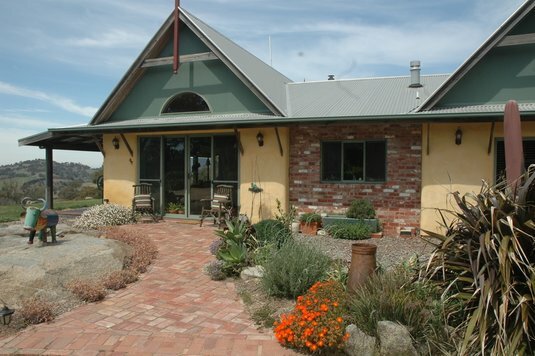 This StrawBale House & fully self contained Bed & Breakfast was inspired by Country Style Magazine - it is a long term project by 2 hardworking women - Ada Milley & Prue Walduck (thus "MillDuck" was born) - an inspiration to many. What started, back in January 1991, as a dream & a collection of cut outs pasted in scrap books, is now a property continually being discovered by guests who aren't afraid to diverge off the beaten track in pursuit of a unique & memorable experience.